We are a renowned name engaged in providing Home Improvement Solutions on a Turnkey Basis to our clients. We are also Manufacturing, trading and Supplying a wide range of Furnishing Items, Furniture, Garden Accessories, Insect Screens, etc. 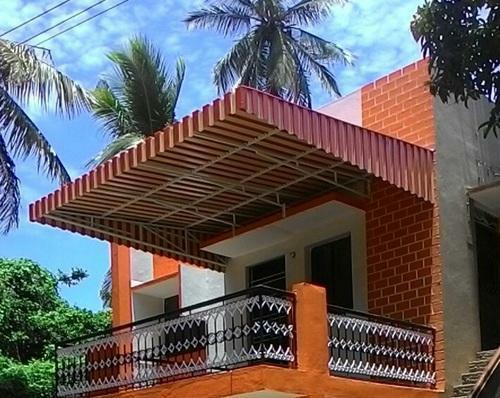 Backed by rich industry experience since 2011, we are a Manufacturer, Trader, Service Provider of Aluminium Awnings, Wooden Flooring, Upmarket Umbrellas, Fabric Awnings etc. that are rendered in adherence with the international quality standards and are highly demanded by our valuable clients. We ensure that these services are executed with the help of advanced technology and machines and adhere to the exact requirements of our clients. Our professionals understand each and every requirement of our clients and provide designs as per the ambiance and environment at the client’s site. With rich industry experience and a team of highly qualified professionals, we are also engaged in manufacturing, trading and Service Providing a broad assortment of Furnishing Items, Furniture, Garden Accessories, Insect Screens and Wooden Flooring. Our fabrication processes takes place according to the global quality specifications with absolute commitment to the proper management of delivery schedules. With our products fabricated in absolute conformity to international quality standards of fabrics, a highly modernized manufacturing facility and unbeatable price structures, we have been capable of contending our customers in an optimized manner.